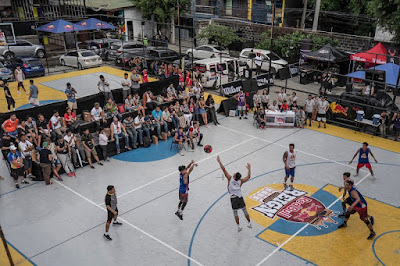 Sixteen (16) teams and finalists from the previous Qualifiers (Manila A, Manila B, Last Chance), went head-to-head at the Red Bull Reign Finals at Taft Food by the Court in Pasay City on Saturday, June 30, 2018 (Saturday). 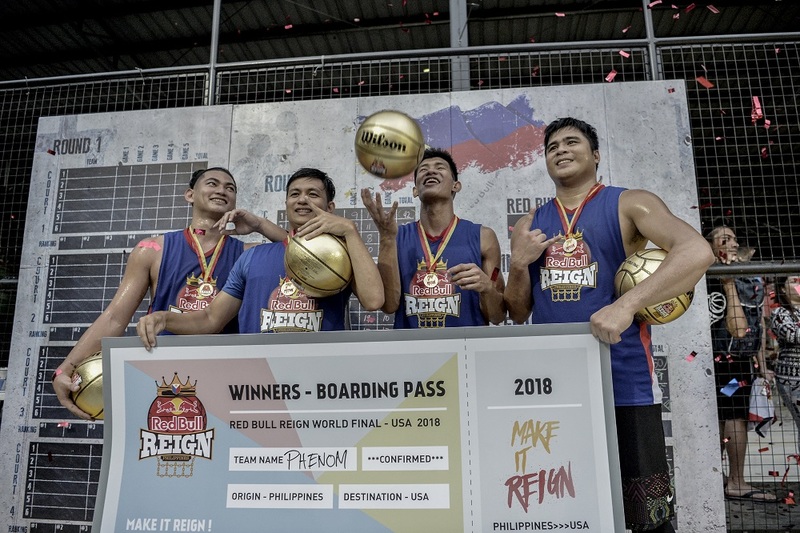 Phenom emerged as the tournament winners and earned the chance to represent the Philippines at the Red Bull Reign World Finals. 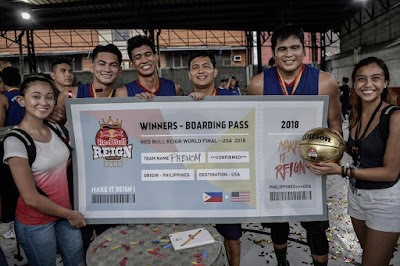 Red Bull Reign is a high-endurance, offense-driven 3x3 basketball tournament that gathers the world’s top ballers to battle it out for the chance to compete at the World Finals in Washington, DC, USA. The rules are simple: the team that scores the most overall points in each round will advance until only one team remains. The event kicked off with the Last Chance Qualifier that enabled Phenom to advance to the Finals later that afternoon. Over the course of the day, each team collided in a series of round-robin style matches, intensified by familiar players like former NCAA player from Lyceum of the Philippines – Seraj Elmejrab of team PACITA, former UAAP player from UST Growling Tigers – John Jordan Sta. Ana of team Phenom, and Senior Board Member of Ilocos Norte – Matthew Marcos Manotoc of LGU. Red Bull Reign progressed into the semi-finals, which saw three rounds of competitive back-to-back contests between Phenom, Souldier, and LGU. Despite delays due to the weather throughout the day, Phenom and LGU later advanced to the finals with a score of 46-to-50. Both teams collided on the court but Phenom emerged as the Philippine Champions, at a score of 10-to-06. The winning team included team captain, Carl Kenneth Sumalacay, Jarrold Flores, John Rom Alvarado, and John Jordan Sta. Ana. 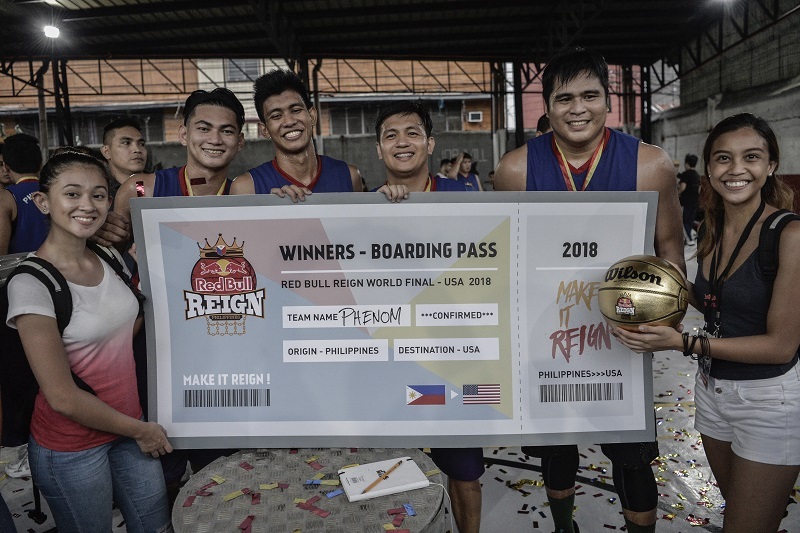 For the second year in a row, PBA legend Vince Hizon oversaw Red Bull Reign as tournament director. 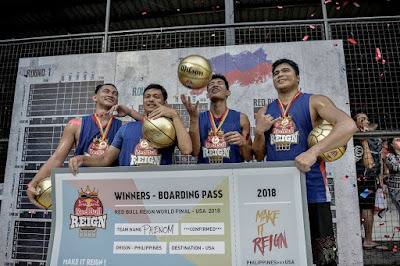 Following their hard fought victory at the second annual Red Bull Reign, Phenom will represent the Philippines at the World Finals in Washington DC, USA, later this year.